Paul Tilley worked as an economist in the Australian Treasury over a 30-year period. He has also worked in other key agencies such as the Department of Prime Minister and Cabinet, the Treasurer’s Office and the OECD. Paul has worked extensively on tax policy during that time, including a number of Australia’s tax reform exercises. 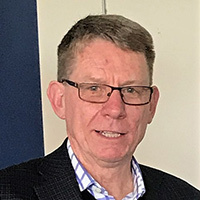 Paul is currently writing a book on the history of the Australian Treasury and is also a Visiting Fellow at the Tax and Transfer Policy Institute based at the Australian National University.